Harare, Zimbabwe – PART of Zimbabwe’s internet bandwidth experienced downtime Thursday due to disruptions to Mozambique’s telecommunications services in Chimoio, according to sources. 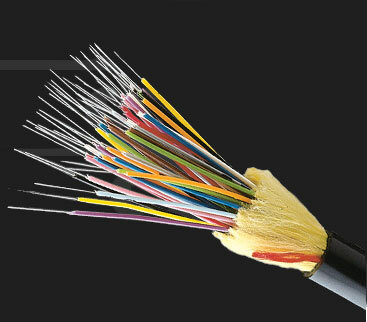 Zimbabwe links to the 13,700-kilometre South East Asia Commonwealth (Seacom) submarine fibre-optic cable system running along the coast of Africa via Mozambique’s parastatal telecommunications company, Telecommunicacoes de Mozambique (TDM). All Internet Access Providers (IAPs) utilising the Mozambique link were affected resulting in slow to no internet connection for Internet Service Providers (ISPs) and their clients. “Due to some disruptions to equipment in Mozambique, I can confirm that a good portion of our internet capacity has been negatively affected. However, we maintain other tributaries of internet connectivity to ensure that our clients stay online,” said an official with a local Internet Service Provider (ISP). Sue Bolt, a spokespersom for Dandemutande, one of Zimbabwe’s biggest IAPs confirmed that they had been informed of Telecomunicações de Moçambique equipment failure in Chimoio. With Zimbabwe gaining increasing access to the internet via the undersea cable system and redefining the way people communicate and do business, any disruption to services is immensely felt among businesses and the general public, especially in urban areas. Harare, Zimbabwe – A fibre optic project linking Harare-Bulawayo-Beitbridge to the undersea cable in South Africa is almost complete, according to reports in the state-owned daily newspaper. “Once complete, the fibre optic project is expected to bolster service provision by state-owned telecommunication companies NetOne and TelOne,” reported the newspaper. Expectations are that Zimbabwe which is landlocked will have faster Internet and telephone connection, transmission of data as well as multimedia facilities. The Harare-Bulawayo-Beitbridge link is in addition to the Harare-Mozambique link which was completed last year at a total costpf US$6,3 million. It is expected that by 2014 the country will be internationally networked, with about 1 340 km of cables, carrying massive amounts of mobile phone, television, internet and other telecommunication signals. Vast job opportunities will open up while government bureaucracy, costs of internet access and doing business will be lowered, say experts. The development is seen as ushering in a new era in Zimbabwe, for example, it is anticipated that software developers, students, internet fanatics, broadcasters and other sectors will cash in as telecommunication services become better. 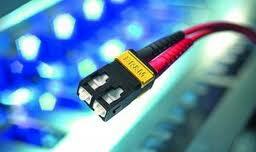 Put simply, fibre optic internet cables are expected to change lives and livelihoods in the country. 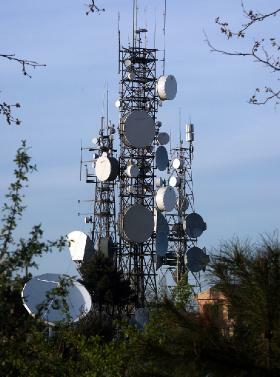 Zimbabwe has traditionally relied on Mazowe earth satellite link which is not only limited but very slow and expensive. “The linking to the undersea cable will almost certainly knock down prices although it must be pointed out that in the initial stages of the connectivity tariffs will be high owing to the need by these companies to return their investments. But in the long run, internet, and other telecommunications services which will be based on this linking will drastically fall down,” said Patrick Tsvetu, an ICT sector expert based in Harare. Is Internet An Unassailable Right? RECENT developments in Europe on Internat access legislation are indeed welcome, and point to a freer and less fettered access to this important human resource. If anything, governments around the world must follow suit and ensure that their citizens benefit from this essential resource. Like may people around the world, I use the Internet on a daily basis, and when I can not get online access I feel sick. I am not exaggerating. For me, the internet has become as important as breathing. I have to have it or at least I have to know that I can have it. That’s why I was so intrigued to read a recent New York Times report that European lawmakers agreed on new protections for Internet users. Part of the report stated that consumer organizations that wanted to enshrine Internet access as an unassailable right. Governments in Europe have in past few months mooted ways to limit internet access to those deemed to be engaging in illegal downloads. Traveling can be a pain in the spirit because it takes you out of your everyday routine, bringing new and unexpected pressures. But with a little forward planning and open-mindedness, you surely can have a successful and enjoyable trip. Whether you are traveling for business or pleasure, keeping a few points in mind can help to take the stress out of your excursion. In more ways than one, conscious efforts to take the stress out can make you make the most out of your trip. 1. Get information about the place. Before you start off on your trip, you must get as much information as you can about the place that you are traveling to. You need to develop a vague sense of where you are traveling to so that when surprise happens, it will not shake the roots out of your system. The internet is a great resource to research free information about many places around the world. 2. Check the weather. In your research about the place you are traveling to make sure that you get information about the weather. You can do this by simply checking for details online. Depending on the tightness of your schedule, if the weather is going to be bad, it is advisable that you postpone your trip. If you absolutely have to make the trip, then make the right amends, including packing the right clothes, as the weather pre-determines. 3. Pack the right clothes. Take as few clothes as possible. It’s always wise to pack some warm clothing just in case it gets chilly during your travel. Jeans and t-shirts – if you are not going on business – will certainly take the stress out of making clothing choices during your travel. Jeans can also be worn over and over again before they require a wash. If you are going on a business trip, washable silk clothing is the best especially because it does not require ironing. Also, make sure to carry your identification details because you may be required to use them during your travel. 4. Take precaution. Whether you are traveling in-country or to a foreign place, you must keep your wits about you. The world is not always a rosy place. Make sure to look after your cards, cash and documents. Be scrupulous about people who offer to give you help as you may become an unwilling victim of tricksters. 5. Be open minded. Traveling is traversing into new territory, immersing yourself in a space that you normally don’t exist in, so it’s all normal that you will likely encounter some surprises and strange occurrences. Don’t be too quick to take offense. Keeping a little smile and warm heartedness can help you to glide smoothly through the strange happenings as well as the culture shocks. If you leave the baggage of your own ego behind, you will survive the shocks. Not to mention, traveling is like an open book that you enter making you an active reader every step of the way, so make the most to enjoy every chapter along the way.